What the hell is the green door? The Percival Everett theme continues for the present. I'm so glad you're pleased to hear it! You may have read, buried deep in the bowels of another review, that I came across this book after searching the Kindle store for more by Everett. I shan't therefore bore you with a repeat, but will gently remind you that Everett provides the introduction to what is my own first taste of an author I could really get behind (in a William Shatner / Henry Rollins / Ben Folds musical production* sort-of sense). 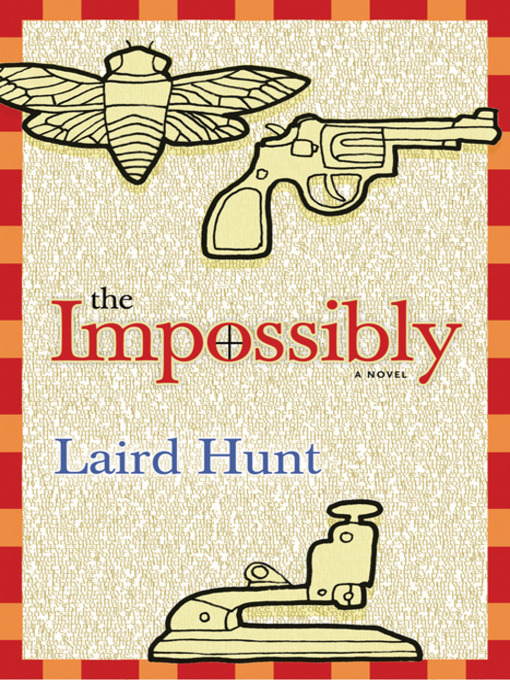 So what do we know about Laird Hunt (or @LairdHunt as the Twitterati would have it)? Answer - not much (that is not cribbed directly from his Wiki entry or his own website). It seems he used to work for the UN in a press-related capacity, occasionally contributes to McSweeney's (where did I read that? I can find no proof that this is true so if you prefer you may disregard) and has been a translator of things into languages other than that in which they were written. An essay he wrote appeared in The New York Times (opinion pages). He is also published by a rather marvellous little publisher called Coffee House Press whose list is quite interesting. Do you feel better informed? Don't pull that face. I can see you. The story starts with a stapler. This is clear. However, the story doesn't start with a stapler. Equivocal, eh? What I mean is that the narrative picks up at the point where the narrator, an ambiguous, confused, slowly disintegrating chap, also a spy, meets a girl in a stationery shop where she is struggling to remember the name of the item that turns out to be a stapler, but this point is already some way into the back story of the narrator, a story which is layered like a palimpsest, or rather more haphazardly like the chalky, lumpy brown tooth enamel caused by chronological dental hypoplasia**, but far less solid. Something has happened, and our spy is disavowed by his agency. He is reactivated though after "rehabilitation" only for that to also end badly. Someone is dead who probably shouldn't be, but is also alive when they couldn't be, and his girl and new (or old) love interest seems to have run away only to return with no apparent memory of him. Or not. Plus, his best friend is possibly trying to kill him as he may or may not be an enemy agent or colleague with instructions for his termination. It sounds confusing and it can be. Hunt has been accused of writing experimental fiction. His prose is definitely unusual and he makes excellent use of a completely unreliable narrator to playfully disrupt the familiar linear narrative to great effect. Time is a fluid and also ambiguous construct, and the reader is swept around the smorgasbord of the action never really knowing what taste the next passage will leave in the mouth. Mostly it's brilliant, funny, playful stuff. Sometimes, it's not entirely understandable and occasionally just plain silly. However, there is a ratcheting of tension as paranoia builds, a sense of dread and desperation as the narrator flees for his life, or tries to work out from the clues just what it is that he's missing. He never stops struggling to put the pieces together, but in the end, there is the tired resignation that he's getting older, and the life expectancy of a spy is not traditionally all that lengthy. I say in the end but actually it appears somewhere in the middle, before it all kicks off again and he becomes young. Or old. Now traditionally at this stage of a review you'd get some sort of conclusion, a summing up if you will of the thoughts and impressions of the reviewer. I will give it a try, for tradition's sake, but it'll be challenging. Overall, I enjoyed the book with its randomness, fractured narratives, disjointed and imperfect, blanketed with some delightful language and downright funniness. I was more confused by the Green Door appended to the end, a lost or edited-out chapter restored to the text. I say more confused but I mean differently confused, less enjoyably so. I can't begin to deconstruct what this or anything within the novel means or wishes to say, but I did identify an underlying theme - repeated blows to the head can cause memory loss. 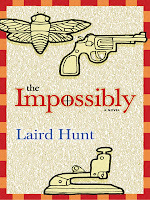 It might be a challenging read for some, but Laird Hunt could just be someone who merits your attention. The chaps at PEN/Faulkner and Anisfield-Wolf certainly think so. * I can't promise that this is the only William Shatner song that will appear in these pages. I CAN promise it's the only one that appears in this post. ** No. I'm not a dentist. However, my son does have hypoplasia on three molars.